Click SOCIAL on this blog to learn about how and why I use these social platforms to reach you! Cathy Testa, owner of Cathy T’s Landscape Designs and Container Crazy CT, completed the Master Gardener Program in September of 2010. She holds an Associates of Applied Science degree in Horticulture with a concentration in Floriculture from the University of Connecticut. During her studies, she managed a private nursery for a design install business in Bloomfield, CT. Upon graduation, Cathy was employed at the Garden Barn and Nursery in Vernon, CT for two years before starting her own business, which she has been operating for eight years. She served on the Board of the Connecticut Horticulture Society for two years on a volunteer basis, and continued her studies via programs such as the UCONN Perennial Conference. 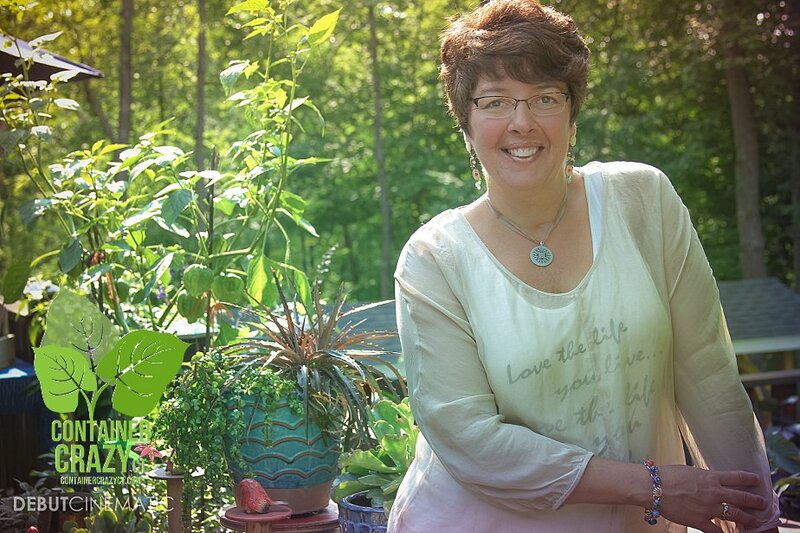 Her current business services include container gardening design and installations for homes and retail business store fronts, container gardening rental installations, small garden design consultations, blog writing which includes freelance writing for local farmers market blogs, and she offers regular hands-on classes on topics pertaining to combining nature with art from her classroom located in Broad Brook, CT. Her attention to plant details, growth requirements, and steps for success with container gardening, along with a passion for plants and their ornamental beauty, has contributed to her reputation of being “container crazy” in her area of services. Cathy has also appeared on the CT Style television program, participated on the CT Food & Farm podcast, and regularly speaks at Garden Clubs.